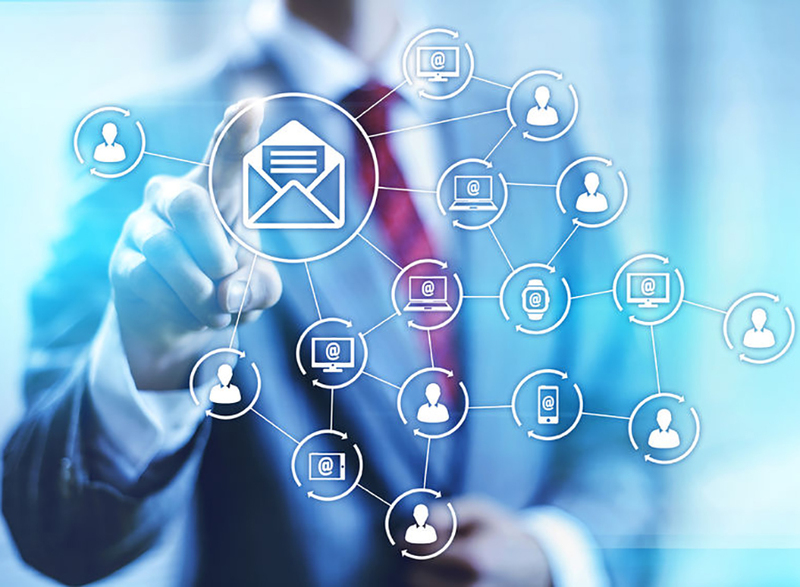 eTargetMedia, a leading provider of Email Lists, Postal Lists, Data Append and Creative Solutions announced that it’s email marketing list database has grown to over 200 million consumers and 15 million + business decision makers this year. The email database has increased by over 50 million consumers and now includes a multitude of additional selects and targeting capabilities, including more demographic, psychographic, and lifestyle selects than ever before. eTargetMedia’s proprietary database includes virtually every U.S. household and U.S. Business, including extensive data that spans demographics, psychographics, geographics, lifestyle choices, shopping habits, spend behavior, and beyond. The database contains only opt-in subscribers and is fully CAN-SPAM compliant. eTargetMedia’s targeted email marketing campaigns help companies across a variety of industries reach and acquire new potential customers, increase sales and improve their email ROI. eTargetMedia has 20 years of experience in the industry and has managed successful email and direct mail campaigns for some of the world’s top brands including Mercedes Benz, Alcon, MetLife, Marriott, AARP, P&G, TGI Fridays, Anthem, Sony and more. eTargetMedia, based in South Florida, provides Email Lists, Postal Lists, Data Append and Creative Solutions to a wide variety of direct marketing customers. eTargetMedia is a member of the Data and Marketing Association. Visit eTargetMedia online at http://www.eTargetMedia.com. Watch our new video to learn more about eTargetMedia and the benefits of email marketing. eTargetMedia stands for excellence in email marketing solutions. We have over 20 years of industry expertise and deliver strategic and impactful results to our clients. We are a long-term DMA Trusted Member and are Fully CAN-SPAM compliant. Our company has an unmatched commitment to email strategy and execution that is unrivaled in the industry. eTargetMedia brings together multi-channel marketing solutions that include a combination of superior data, excellent customer service, cutting edge technology and engaging creative solutions that help clients across all industries better identify and understand their customers, build brand loyalty, drive traffic of highly qualified leads and increase sales, revenue and ROI. When you work with eTargetMedia, you get the hands on and personal service of a boutique agency with the highest quality data and email technology found in the industry. Think Email is Dead? Think Again! Email ROI beats all other digital marketing channels. eMarketer reports that email marketing produces the highest ROI at 122% which is over four times higher than other marketing channels including social media, search, and display ads. Email marketing also has the highest customer acquisition rates and delivers the highest conversion rates of any media. Contact eTargetMedia today to find out how we can help you build a successful email strategy that increases sales and ROI. Call us at 1-800-805-3282, email us at info@eTargetMedia.com or visit us online at www.eTargetMedia.com. eTargetMedia released a new report that outlines how email marketing can help build a successful cross promotion strategy for brands across all industries. Every business wants to attract new customers and there is no channel as powerful as email marketing in building strong customer relationships and growing a loyal following. The report includes tips on how to integrate email marketing into a brand’s cross promotion strategy to build a brand’s online and social media influence. Email marketing is the strongest marketing channel when it comes to customer acquisition and sales with a 44:1 ROI or $44 for every $1 spent, according to the DMA. Most consumers make their buying decisions based on information from multiple channels so using email as a part of a cross promotion strategy gives brands more power in reaching new customers and can take a brand’s marketing to the next level. Brands who are interested in learning more about how to use email marketing to build a successful cross promotion strategy can download the report at http://www.eTargetMedia.com. Included in the report are tips on how to write attractive headlines and subject lines, how to encourage people to sign up for your email lists via social media, how to correctly integrate social media profiles into email marketing messages and much more. Think email marketing is dead? Think again! Email marketing is still one of the most powerful digital marketing channels and email marketing success rates are stronger than ever. Email marketing is the only marketing channel that delivers a $44 to $1 return on investment and has the highest customer engagement rates of any marketing strategy. Email marketing is stronger than ever, delivering the highest engagement, acquisition, retention and conversion rates of any digital marketing strategy. The key for any company to achieve email success is standing out from the crowd with strong email subject lines, creative headlines and personalized content that resonates with consumers. The first goal of any email campaign is to get consumers to open the email and one of the most important elements of measuring your email campaign success is tracking your email open rates. Here are 6 ways to motivate your subscribers to open your email messages. Your subject line is the customer’s first impression of any email message. The subject line needs to engage customers to motivate them to open your email. A/B splits and creative testing are the most effective ways to create strong, engaging subject lines that resonate with customers. Aim for a short and personalized subject line and test, test, test. Email recipients check email from lines to see if they know the person sending the message. Using a company name for the from line is a great way to reach customers who are already familiar with you but consider using a person’s name from your company to make the from line more personal and increase chances of the email being opened. Email filters are becoming more sophisticated. If your message ends up in the spam folder, your open rates will be severely affected. Avoid using subject lines that will trigger spam filters. Don’t use subject lines in ALL CAPS or the words free, sale, deal, discount, coupon or special offer. Segmenting your email list can help ensure that you are sending relevant content to email subscribers. You can segment your list by purchasing preferences, interests, time since last purchase and more. By segmenting your list into groups of similar customers, you’ll be able to send highly relevant content to each subscriber group and improve your open rates. Emails are much more likely to be opened if it sounds like the email is written directly to the customer. Use the email recipient’s first name in your subject line or email opening to increase open and engagement rates. This level of familiarity will keep your customers opening your email messages in the future. You must know your target audience’s email habits to determine what the best time to reach them is. The middle of the week during business hours is typically the best time to reach consumers with targeted email messages. Track your email data including open rates to determine email open and engagement patterns that will lead to open rate success. Incorporate these strategies into your next email marketing campaign to improve your open rates, increase customer engagement and conversions and maximize your ROI. Email Marketing is Stronger than Ever! Think email marketing is dead? Think again! Email marketing is still one of the most powerful digital marketing channels and email marketing success rates are stronger than ever. Email marketing is the only marketing channel that delivers a $44 to $1 return on investment and has the highest customer engagement rates of any marketing strategy. – Top marketers consistently give email the highest marks when it comes to achieving marketing goals. – Email marketing beats social media, search engine optimization, paid search, display advertising, content marketing and mobile marketing in customer engagement and conversion rates. – Email marketing is regarded as the most effective marketing channel for building brand and product awareness, improving customer acquisition and retention and increasing conversions. – 76% of U.S. companies see the potential of email marketing over the next 5 years. – Email marketing conversion rates are at least three times that of social media conversion rates, according to a Forbes report. – Email delivers a far greater share of acquired customers than social media (nearly 40x that of Facebook and Twitter combined). – Smart phones, watches and tablets have led to increased email use as consumers can check email on the go and 64% of consumers read their email via mobile devices. That number is predicted to grow 23% this year. These facts prove the importance of email in customer engagement, acquisition, retention and conversion. 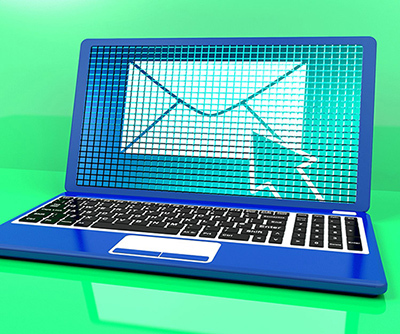 Email marketing is still the best way to reach customers effectively.